You know how it is. 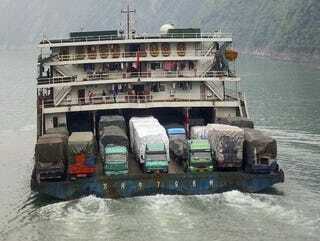 You're in the truck, slowly crossing a fast-flowing river by ferry, when the wife just will not stop nagging. Hopping from the cab with hands over ears and jumping off the ferry is understandable.